Which is the first material that comes up in your mind when you say ‘transparent interiors’? Definitely, glass. With its graceful touch and airy feeling, the material makes any room bright and spacious. 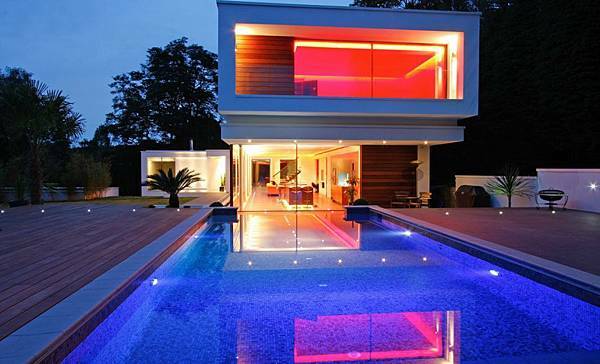 Located in Surrey, a county in the South East of England, Oxted house reflects this statement at its best. The building is an essay in minimal structure, geometry, proportion, and the effects of transparency and reflection. The main floor of the house incorporates moving walls so that the living room may function as an open or enclosed area. Moreover, the kitchen is flanked by floor to ceiling glass on two sides, letting natural light come inside all day long. 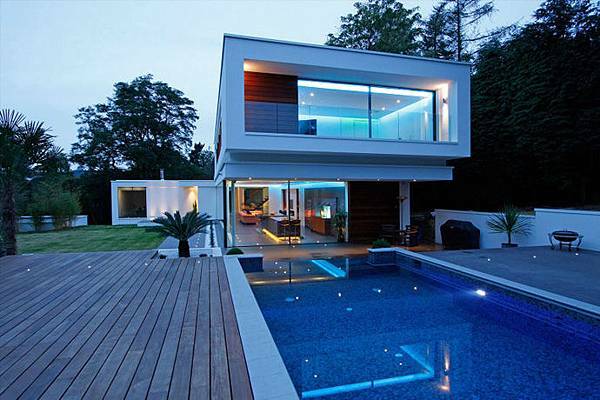 After lunch, the inhabitants get out into a rear patio that embodies a spectacular deck, a glass walled pool and a spa.